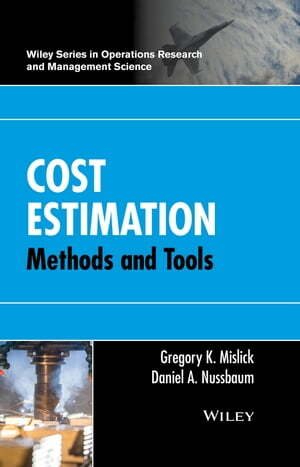 Collins Booksellers - Cost Estimation by Gregory K. Mislick & Daniel A. Nussbaum, 9781118536216. Buy this book online. Written with an easy-to-understand approach, Cost Estimation: Methods and Tools provides comprehensive coverage of the quantitative techniques needed by professional cost estimators and for those wanting to learn about this vibrant career field. Featuring the underlying mathematical and analytical principles of cost estimation, the book focuses on the tools and methods used to predict the research and development, production, and operating and support costs for successful cost estimation in industrial, business, and manufacturing processes.